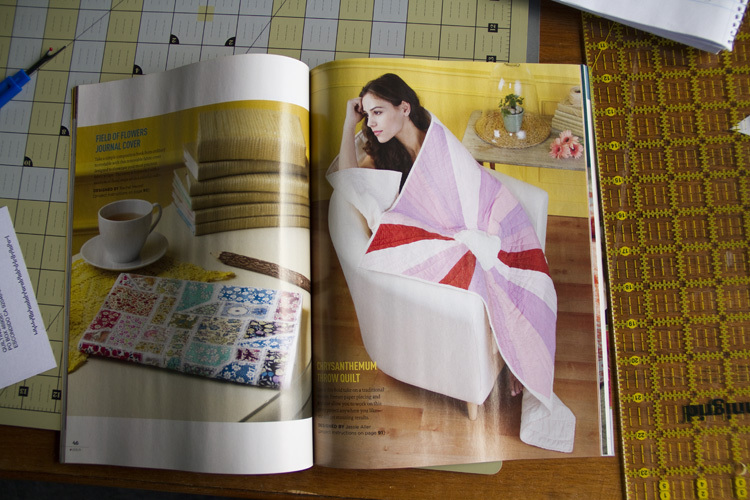 I have a quilt in a magazine! It feels… weird. 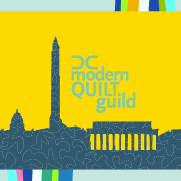 I made the quilt and shipped it off so fast that when the magazine came, I could barely even remember that that was my quilt. But then the next day the quilt came back in the mail, and we’ve had it hanging around now for a couple of days, so I’m starting to feel like maybe I did make that. I like that rainbow journal cover on the other page, too. Pretty little calicoes. It’s hand quilted with perle cotton,using a traditional Japanese cloud/water motif for the background. I drew the motif by hand rather than using a stencil to give it a more natural look, and hopefully make all that open space a little more interesting. I want to do more of the hand-drawing thing, it makes the quilt so personal. 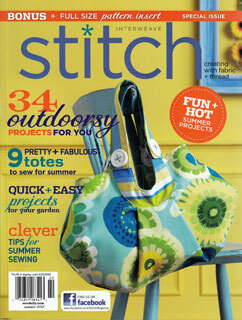 I am dying to make this again, using Anna Maria Horner’s Innocent Crush and Little Folks Voiles. Can a quilt be fresh and moody at the same time? I think you could pull it off, with the stormy purples of IC mixed with the perky pinks of LF. I would also love to see the pattern done up in some of the re-issued Flea Market Fancy. 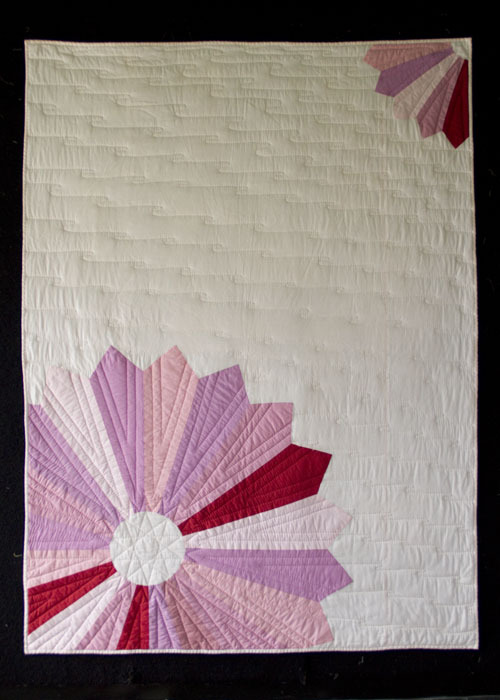 Those kinds of retro florals are actually just what I had in mind when I was drafting up this quilt! With a dove grey background it would be just the right combination of retro + modern. I must get myself a staff to start knocking these things out! Jessie, this is incredibly cool! 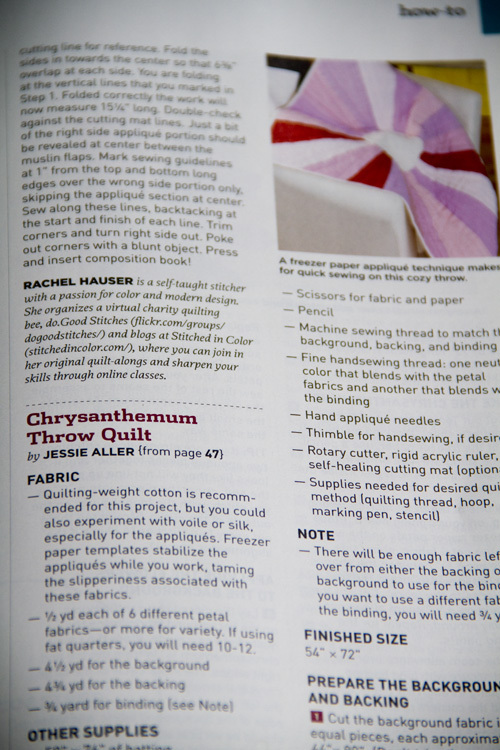 So exciting to see your own creation in print–I will go in search of the magazine tomorrow! 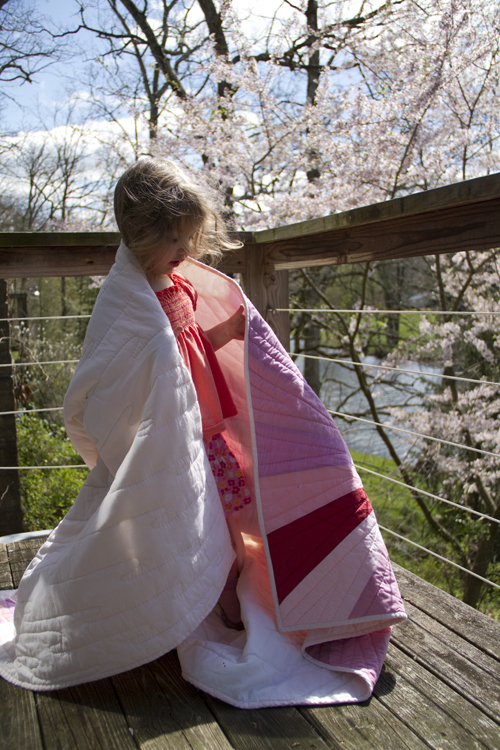 The quilt is so pretty, and the hand-drawn quilting pattern is beautiful–hard to believe you did it all so quickly. Jess – this is so exciting! 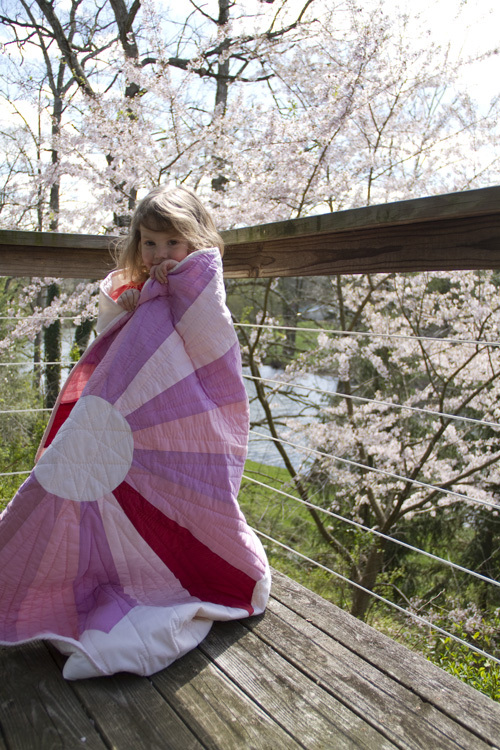 I love the photos of Vi with the quilt – so beautiful! I love the idea of doing the same design with different fabrics and moods — I could go crazy thinking of all the possibilities. I can’t wait to see the whole article. Congratulations!